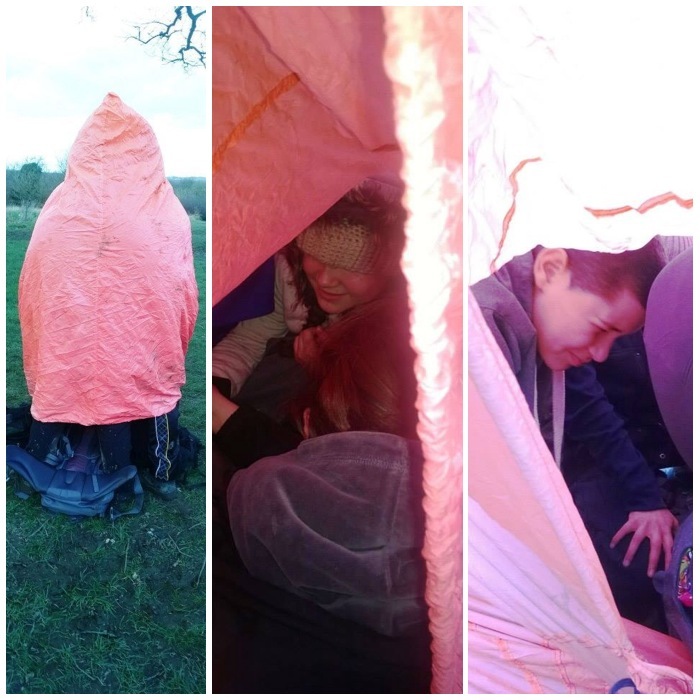 Best to learn the tricks of campcraft here so that when you are sorting your life out on that wet and windy morning in Brecon – life is a breeze. 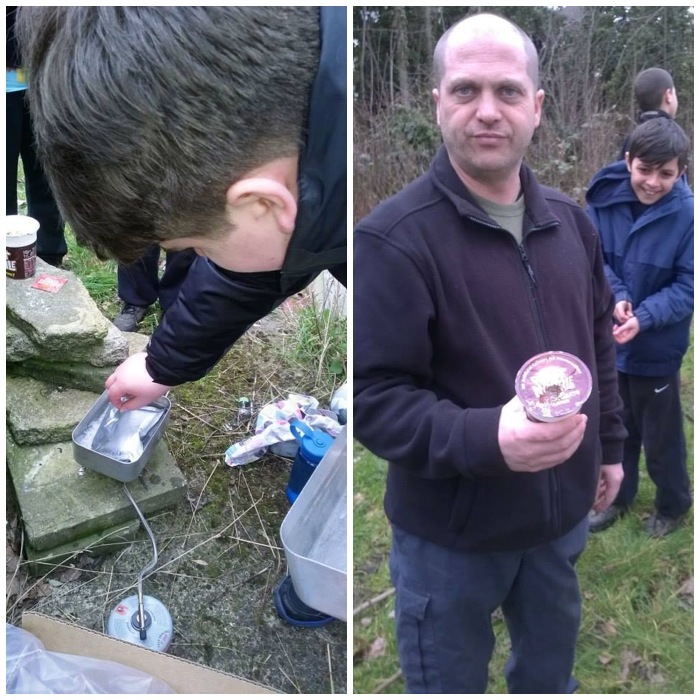 In November last year and in February of this year I helped run two Northern District (London Area Sea Cadets) Basic Campcraft weekends. 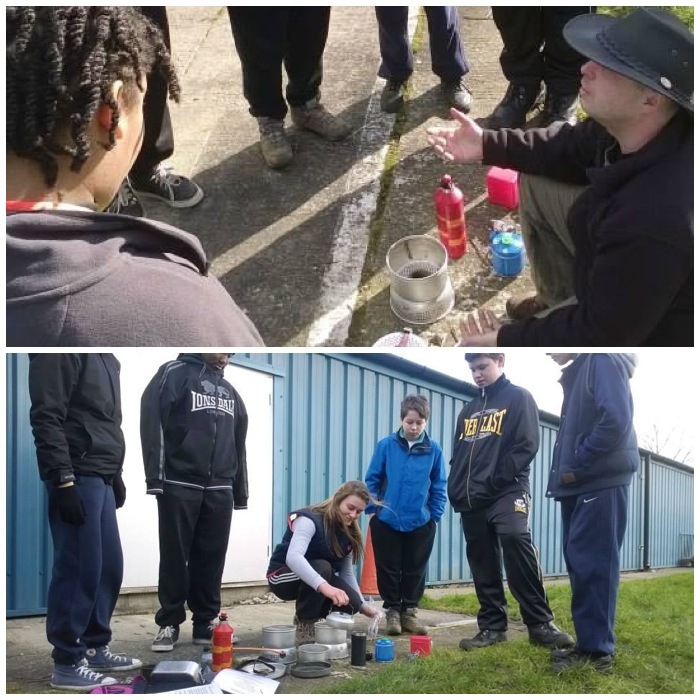 These weekends are designed to introduce the cadets in a constructive but fun way to the skills they will need to develop to reach their higher goals – be that completing a Gold Duke of Edinburgh’s expedition or climbing in the Alps. 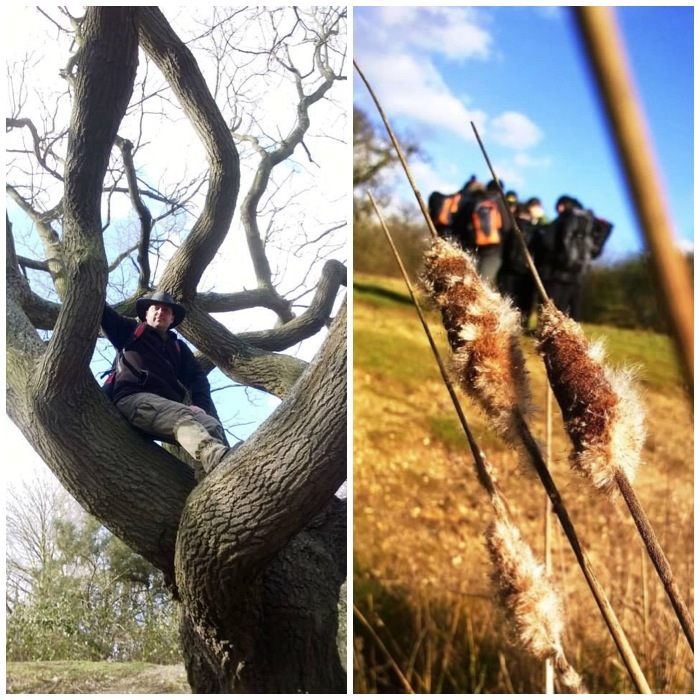 The pictures in this post come from both courses to show all the activities the cadets undertake. Some of the cadets who come on this introductory course have never camped in their lives. 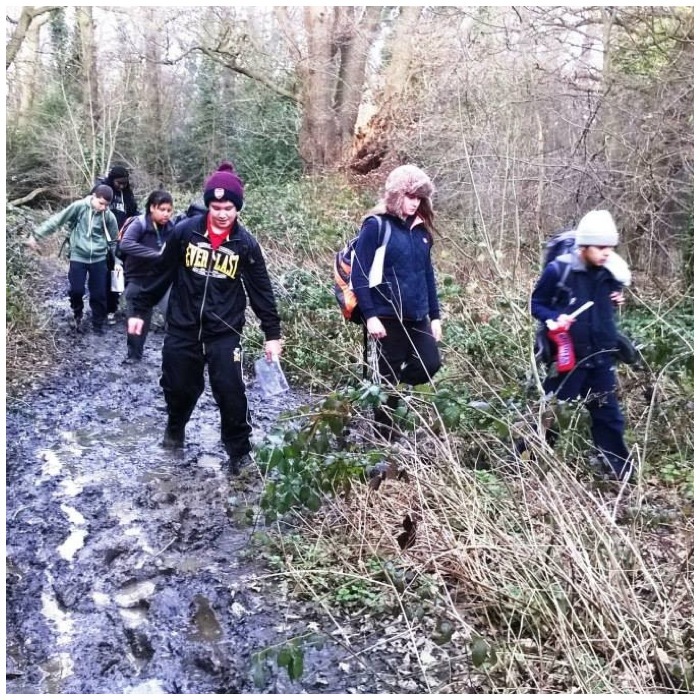 Most are city kids who have had little chance to get out and about into the woods and hills so the pace is taken gently as we slowly expand their comfort zones. After introductions, discussions on safety and a kit check it is time to start learning how to read a map properly. I find it best if the cadets start to read maps like a book, and the only way to do that is to understand the symbols. Everything else such as scale, slope aspect and compass use comes later. We get out and about as soon as possible but will vary the timings depending on the weather. On the left below is Chief Petty Officer Dave Lewis, who is as keen as I am in getting the cadets adventuring. On the February course Dave and I took a step back to let one of the younger instructors, Emma Deasy, run the course. We were there for safety, to add extra detail when required and to assess Emma for her Adventure Leader qualification. This is an in-house Sea Cadet qualification but is a first step towards gaining the nationally recognised Basic Expedition Leader Award. While Emma briefed the cadets (picture on the right) Dave and myself watched from on high. 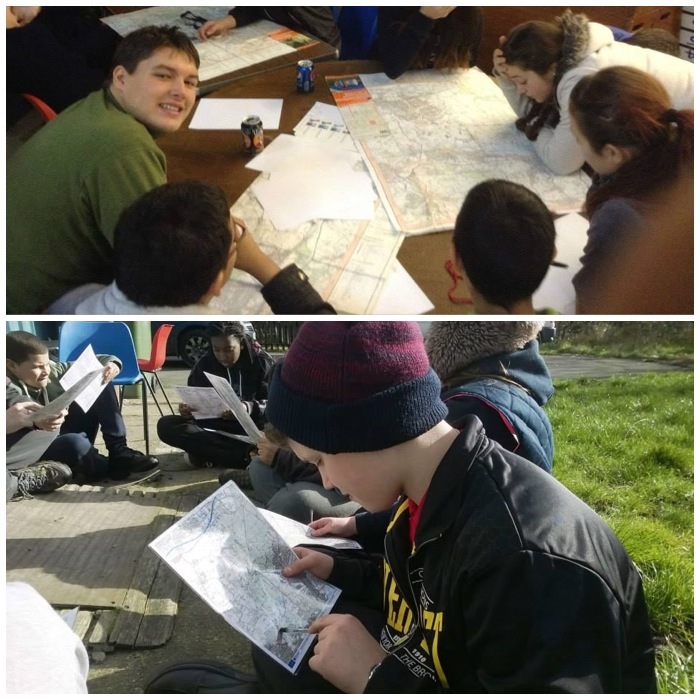 The cadets are not expected to lead the navigation at this level but just get used to using a map and to start to get an understanding of how it relates to the real world. In between all this learning it is always good to find some mud. 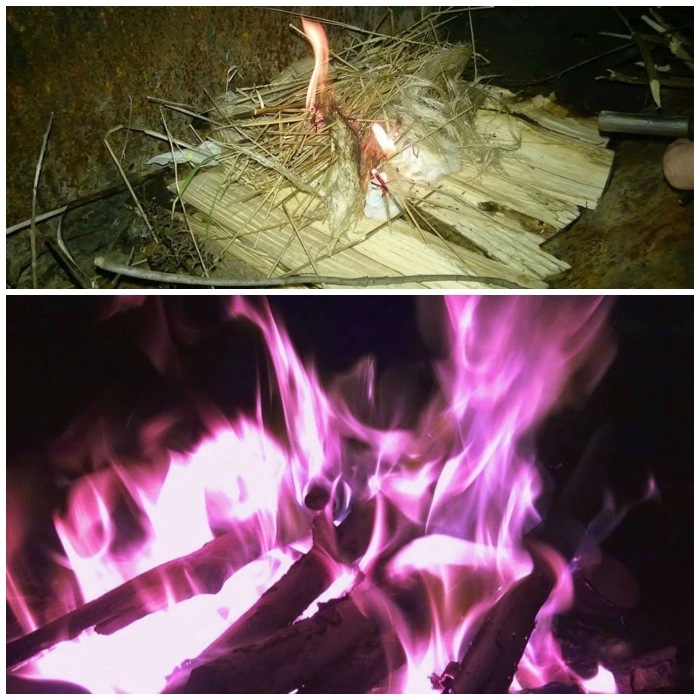 These are the two groups we had, the top picture from February this year and the bottom picture from November last year. Pictured in the bottom picture in the red jacket is Lt (SCC) Keith Coleman RNR. Keith like Dave is a great friend of mine; I didn’t know at that time that this was to be the last Sea Cadet course I would work with Keith. I had to get this picture in as I always like to take my EDC hammock chair with me on trips. Sometimes I get a rest, more often the cadets nick it. The trip in February was hard for me as I forgot to take it with me – poor skills on my part. 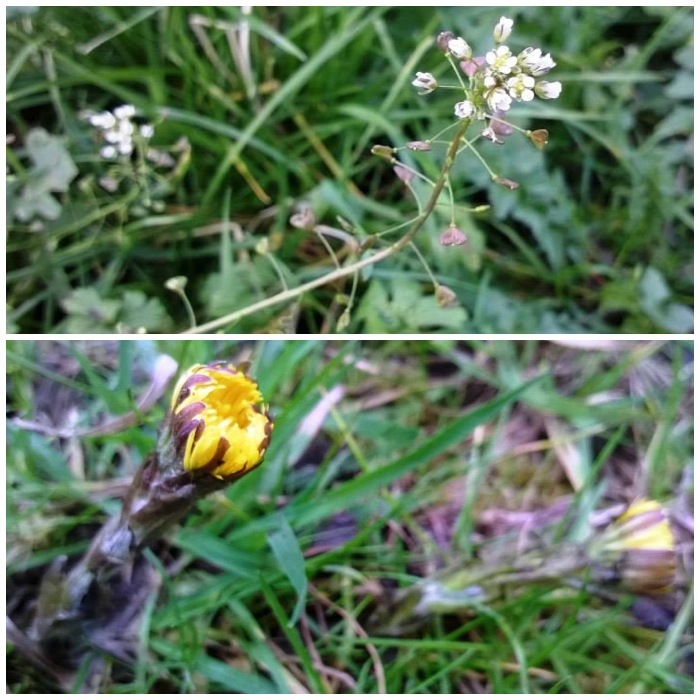 It is not all navigation: it’s good to get close to nature too – be that alive or dead. 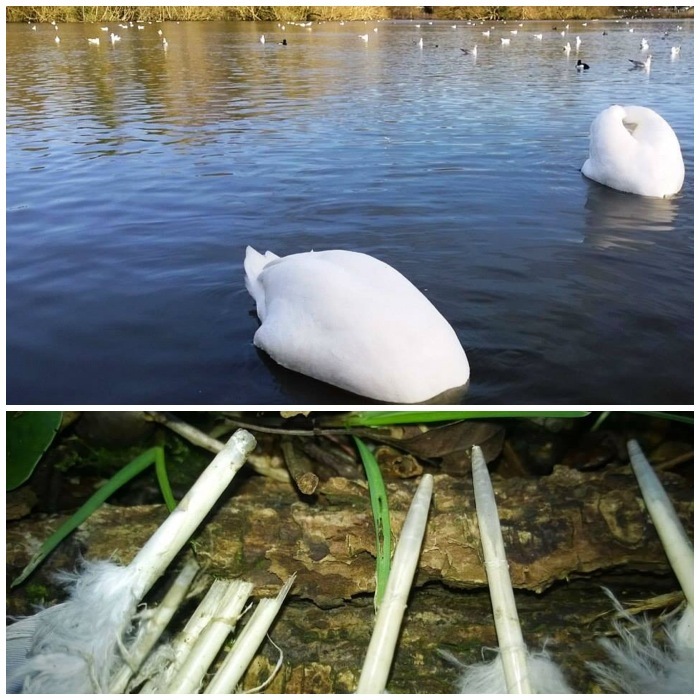 The bottom picture shows some wood pigeon feathers found by one of the cadets. After some initial hesitation the cadets got up close to investigate them. On close viewing you can see the blunt bite marks typical of a fox but some of the quills have the single score line on them typical of a bird of prey. I am no expert in tracking or hunting but it’s clear there is a story to tell here and it is great for the cadets to see this and start to open their own eyes and mind to what is happening all around them. Along the way we teach the cadets about the plants that are in season at that time and they are then expected to start to look for more of them along the way. I don’t expect the cadets to remember all the names, just to start noticing them more. No introduction to campcraft would be complete without trying out an emergency bothy. Most instructors will carry one of these whether they are on the hills or just wandering around the woods. I have used these for real on a couple of occasions in high winds and rain on mountains. When you get inside as a group the bothy traps warm air so that the temperature rises quickly. They are not waterproof but do cut out the wind and can make all the difference. For the cadets it is a fun if squashed couple of minutes. 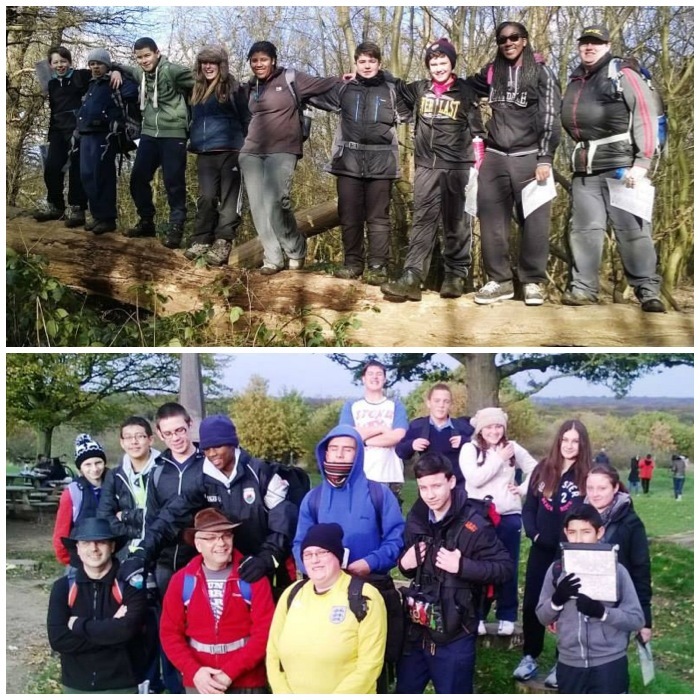 These two courses were run at the Waltham Forset Sea Cadet Unit in North London. As we had access to the main building we ran some of the classes indoors (some other courses are based solely outdoors). As I said at the beginning, this course is about an introduction to campcraft where we slowly expand the cadets’ comfort zones. Speaking of comfort zones, as you can see (below left) Dave has mastered the art of getting comfortable no matter where he finds himself. 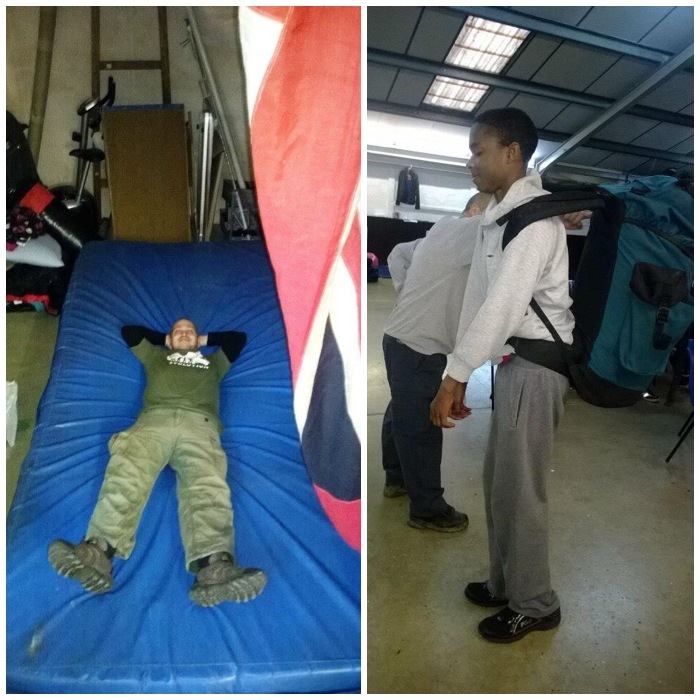 In the picture on the right the cadets are being taught what to look out for when buying or using a rucksack. 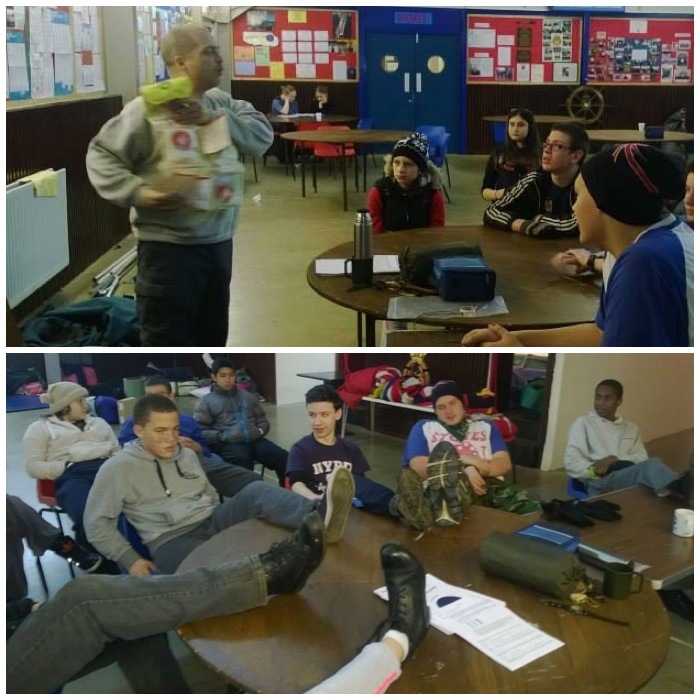 Next up were classes on First Aid kits and footwear. 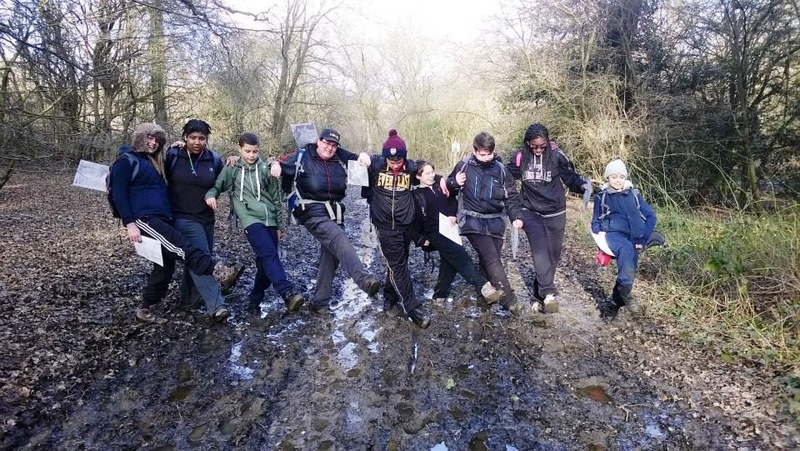 You can see that not all the cadets fully appreciate the need to wear walking boots at this stage and some do turn up in trainers thinking they will be OK. On both weekends there were a few cadets with wet feet. While we were running about doing this adventure training stuff there were other courses being run out of the unit, including Seamanship, Communications and Physical Training (PT). 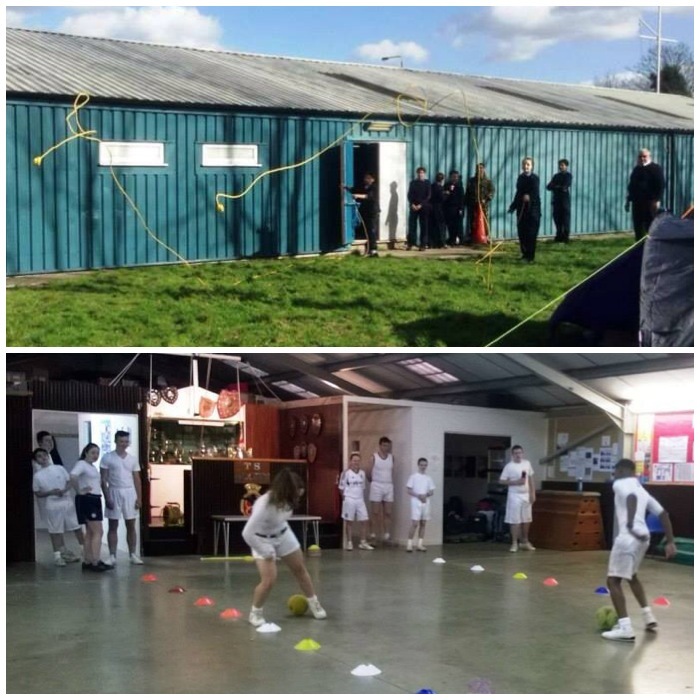 In the pictures below you can see cadets learning how to throw a heaving line properly and taking part in games on the PT course. Usually when the cadets turn up on the Friday evening the staff have to help them set their tents up. 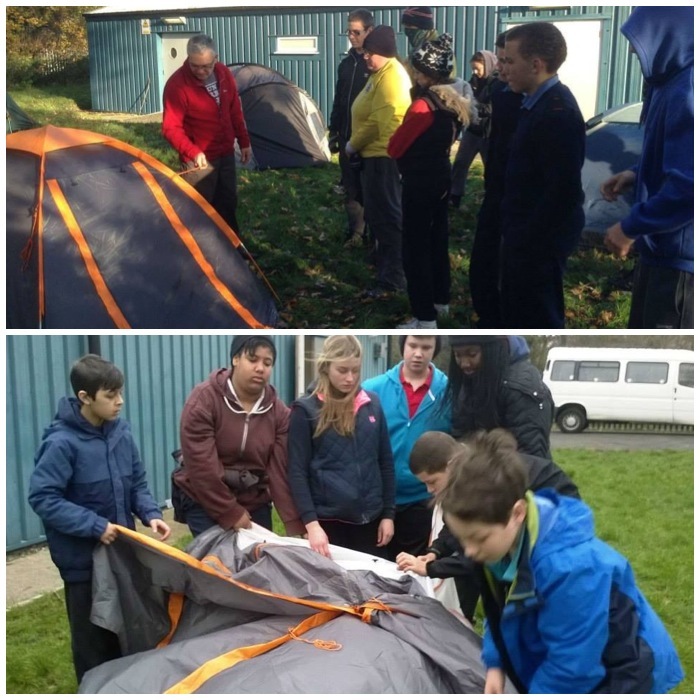 A few bring their own but most cadets are given a tent to use by their own Sea Cadet unit. Most of them won’t have set a tent up before and some will never have slept outdoors in their lives. 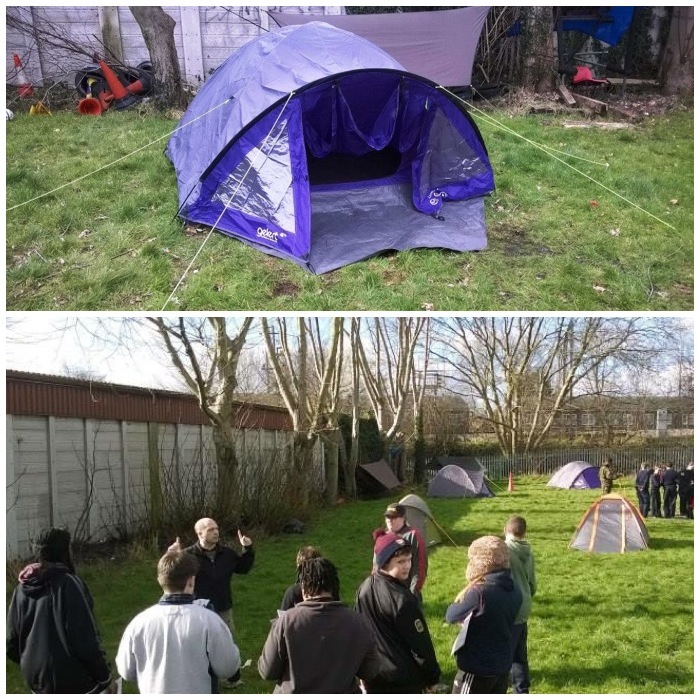 On the Saturday we normally have a class on the different types of tents you can buy and how to erect them. Here Keith is leading the class and once he had shown them the basics it was over to the cadets to have a go. Sometimes things go pop in more ways than one. In the top picture the cadets have failed to secure the pole over the entrance; in the bottom picture the pole had actually snapped. In the former case the pole is easy to re-position but with a snapped pole a little bit of imagination, a tent peg and some duct tape are essential. Everyone got a good night’s sleep in the end. Eventually the tents were all up properly. The staff hammocks and tarps are right at the back. I do not usually let cadets on this course sleep in hammocks, but when they advance to other courses they will be offered the chance to do this. 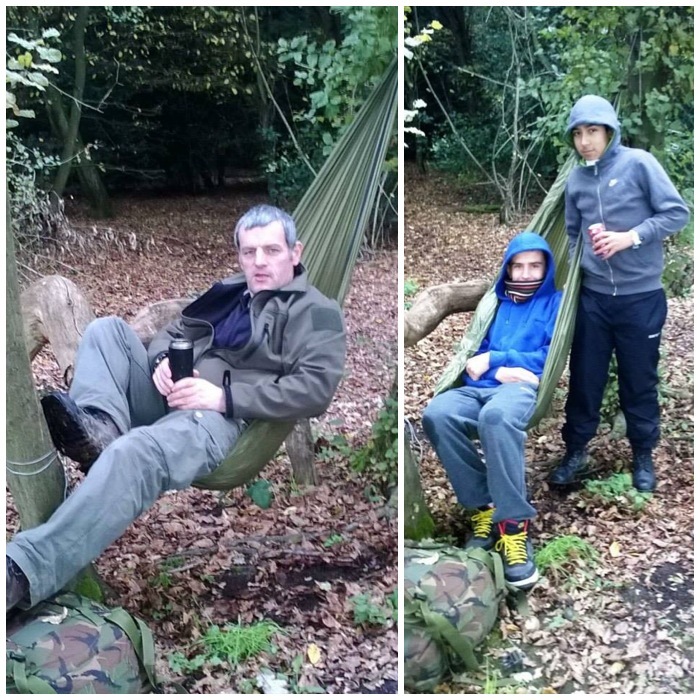 Here the cadets get to see what hammocks are all about and to try one out if they wish. I like to see the cadets using hammocks as they do have a real historical association with the sea. In the evening wherever we are running this course I do try and have a camp fire lit. 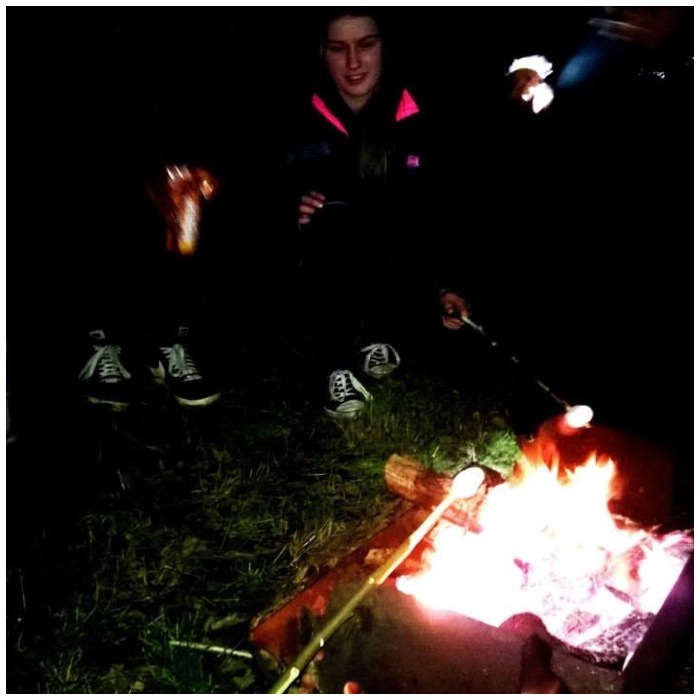 I remember as a young lad what camping meant to me – sitting around the fire in the evening eating toasted marshmallows (yes they were around then). We do not cook food over the open fire on this course as it is not on the syllabus but it is our tradition now to have Shmores whenever possible. A Shmore is a toasted marshmallow or two inside a couple of biscuits. Why some people find this unappealing (Dave) I will never know. The cadets do have to cook a meal for themselves on the course so need to be introduced to some different types of stoves. After some safety tips and basic tuition it is over to them to have a go under close observation. We try to keep the cooking simple with foodstuffs such as pasta, beans or even just boil-in-the-bag ration pack food. Dave though takes a strong dislike to seeing the inevitable pot noodle rear its head out of some cadet’s rucksack. Have a guess who the culprit is on the right? Although pot noodles are quick to heat up with boiling water they generally have only about 300 calories in them, not enough to keep a cadet going on these weekends. 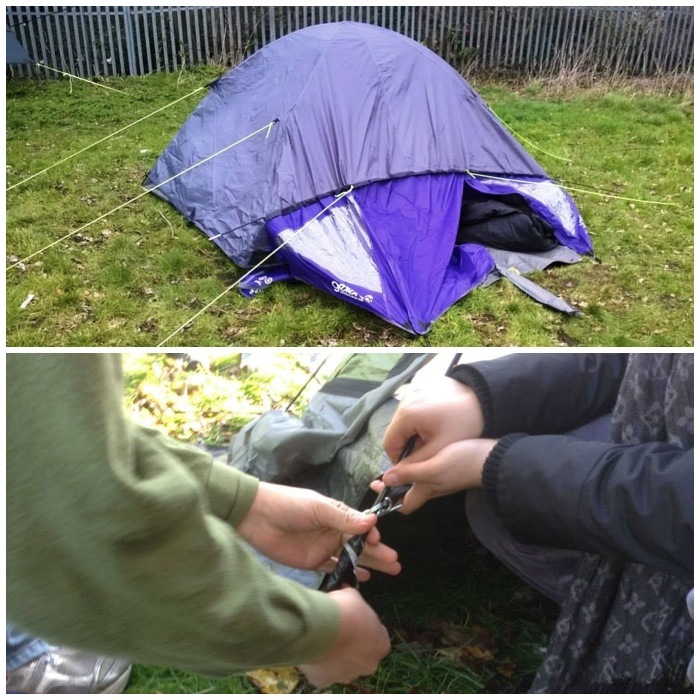 Put the tents up – then learn to put them away properly as a team. It is easy to do in this controlled environment when the weather is dry and there is little wind; it is a bit more challenging on the side of a hill in Brecon on a wet and windy morning. 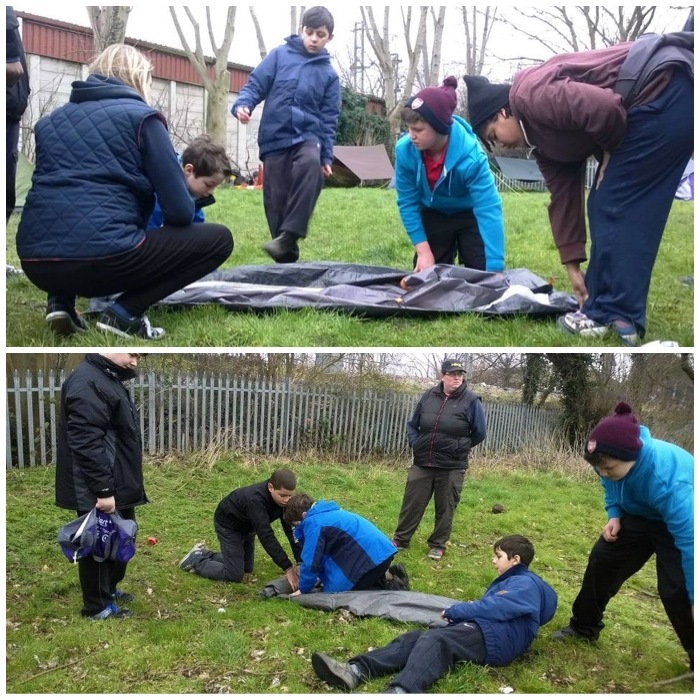 There were many more classes including different types of clothing to wear, first aid scenarios, planning, the countryside code and packing kit that the cadets have to cover. 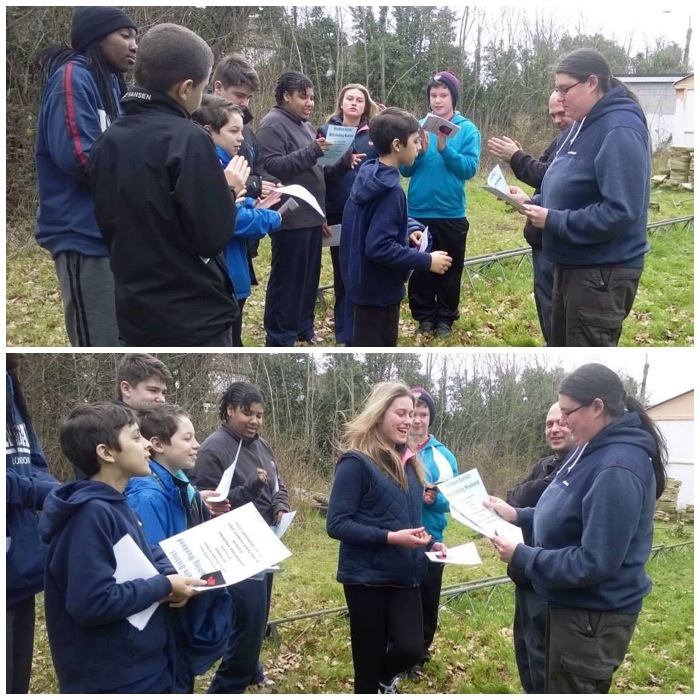 At the end of the course all the cadets receive their certificate and basic campcraft badge. 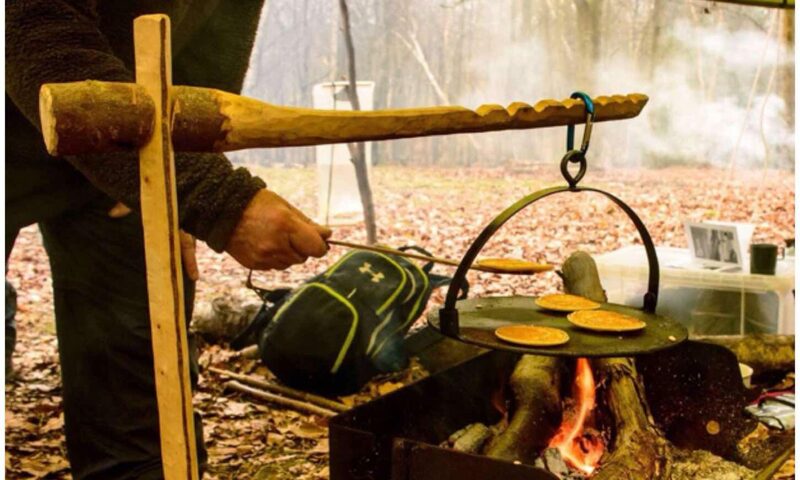 For some this is as far as they will go with camping but for most I will see them again on more advanced courses leading them into the mountains and the world of bushcraft. These two courses were an end of an era for Keith and the beginning of a new era for Emma. 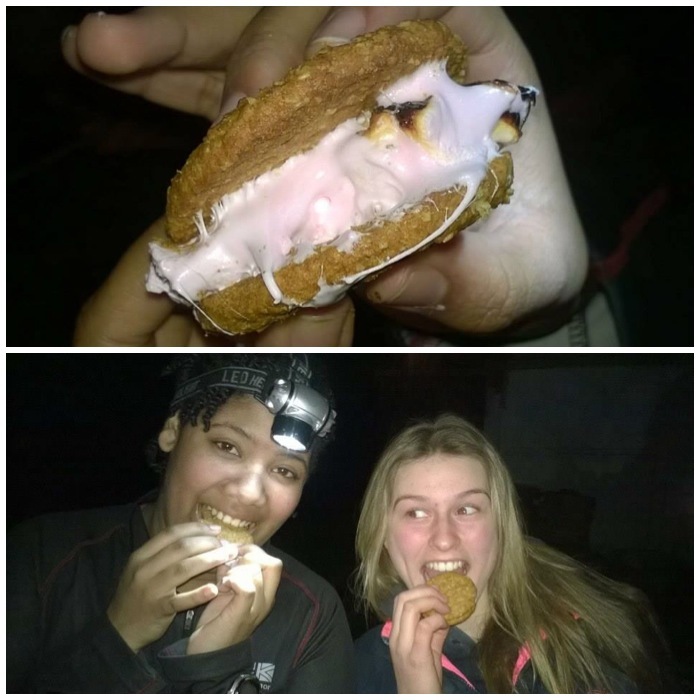 Emma managed to pass her Adventure Leader assessment after working hard towards it over the last few years. This qualification is not easy to attain due to the complexities of all the different situations you can find yourself facing – so welcome to the team Emma and well done.